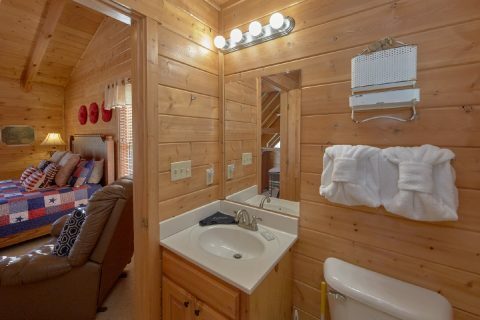 Stay tuned for new photos that will show upgrades to this cabin! 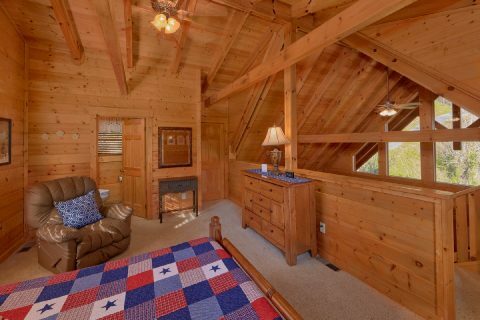 Welcome to "American Pie," a cozy log cabin in the Smoky Mountains with great views. 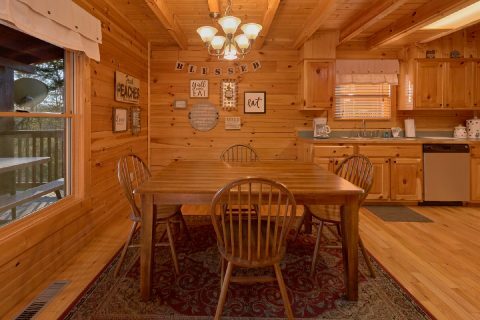 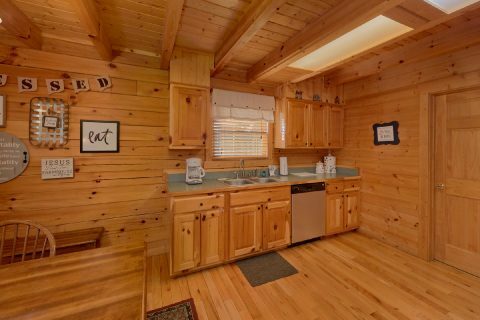 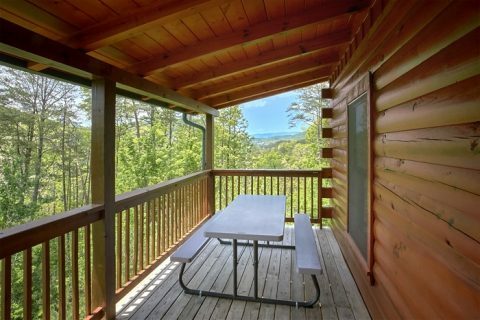 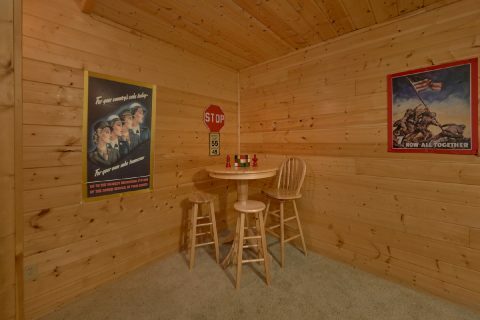 This two bedroom cabin near Pigeon Forge, TN is only a short drive from the Parkway in Pigeon Forge. 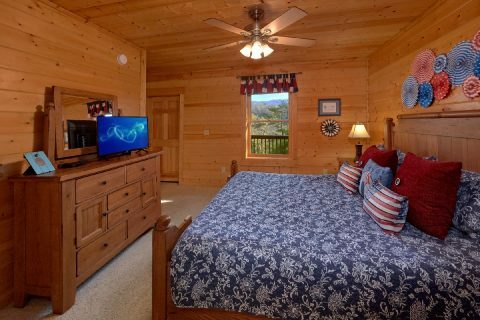 Here, guests will find endless entertainment from local attractions and easy access to other nearby highlights like the national park. 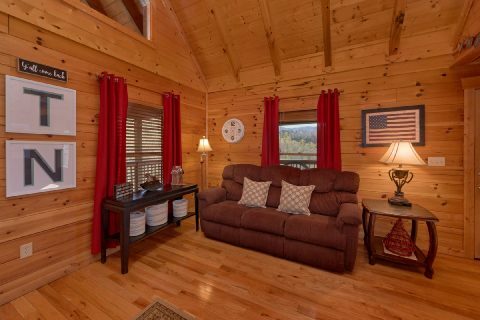 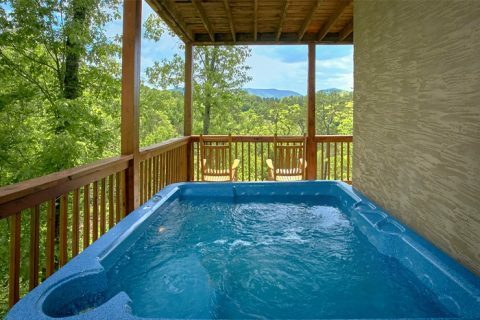 This cabin in the Smokies comfortably sleeps 4 guests and is perfect for a couples' retreat or a small family vacation in the mountains of Tennessee. 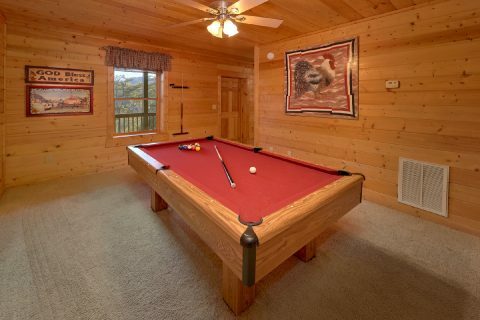 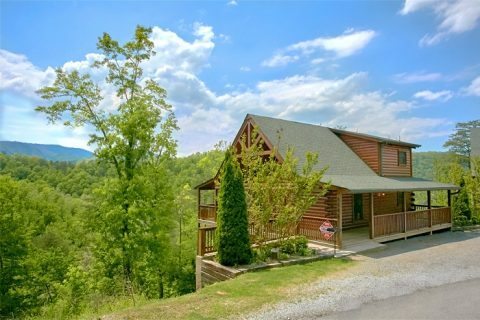 Located close to traffic light #10 in Downtown Pigeon Forge, this cabin rental offers a beautiful setting and stunning mountain views. 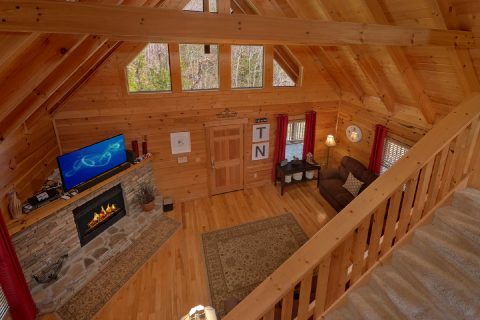 Step inside your cozy log cabin and you'll find an inviting living room area complete with a stacked-stone, seasonal gas fireplace and a 50" television, a sound bar, an Xbox 360, and a Kinects game system. 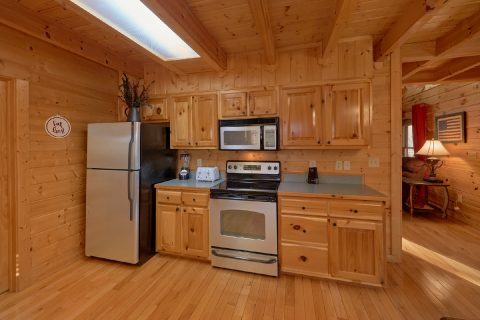 On the same level, there's a fully-equipped kitchen where you can save on vacation costs by cooking delicious meals in your cabin. 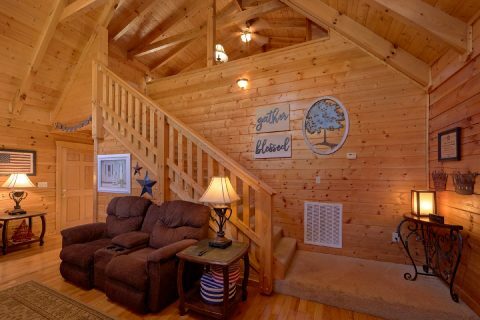 Upstairs in the loft, guests can get a great night's sleep in a spacious king bedroom with a full bath and television. 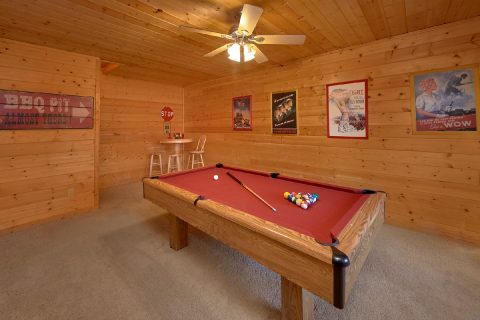 The 2nd king-size bedroom is downstairs with another private bath and a game room with a pool table. 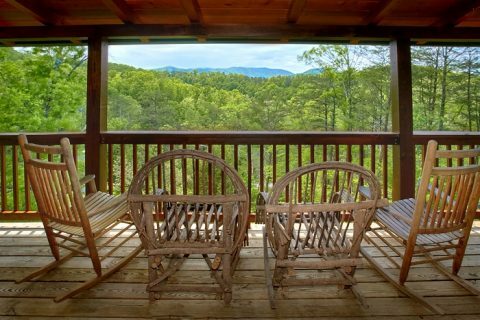 After a day of fun and adventure in the mountains of Tennessee, race home to catch great views of a sunset in the mountains from your rental's back porch. 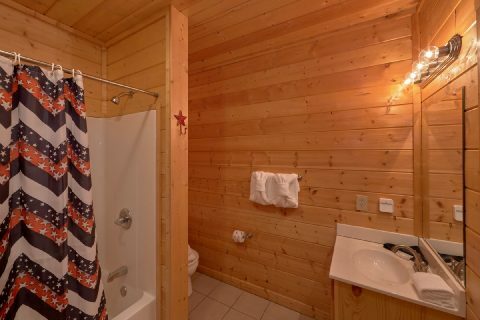 Afterward, guests will love a relaxing soak in their hot tub on the lower deck of this cabin. 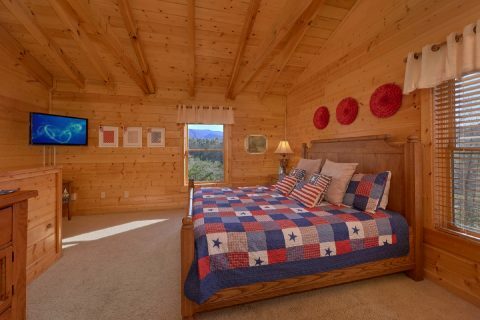 Your cabin is within walking distance from "American Pie 2" and can easily be booked together for larger gatherings in the mountains. 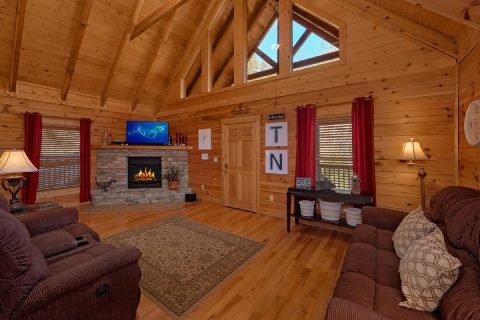 With a great location close to the heart of downtown and comfortable cabin amenities, you're bound to love this cozy rental with great Smoky Mountain views. 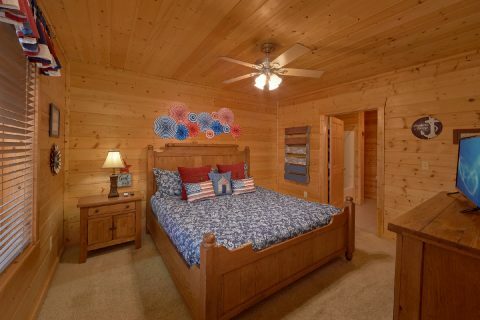 Book your 2 bedroom cabin close to the Parkway with Cabins USA Gatlinburg and save 15% with our cabin discount!